Carol and Jesse have previously spent a week carving in Malta and invested in some carving tools so they could continue carving at home in Berkshire. They had made a striking pair of bookends in Malta and were keen to make another set as Christmas presents for their children. 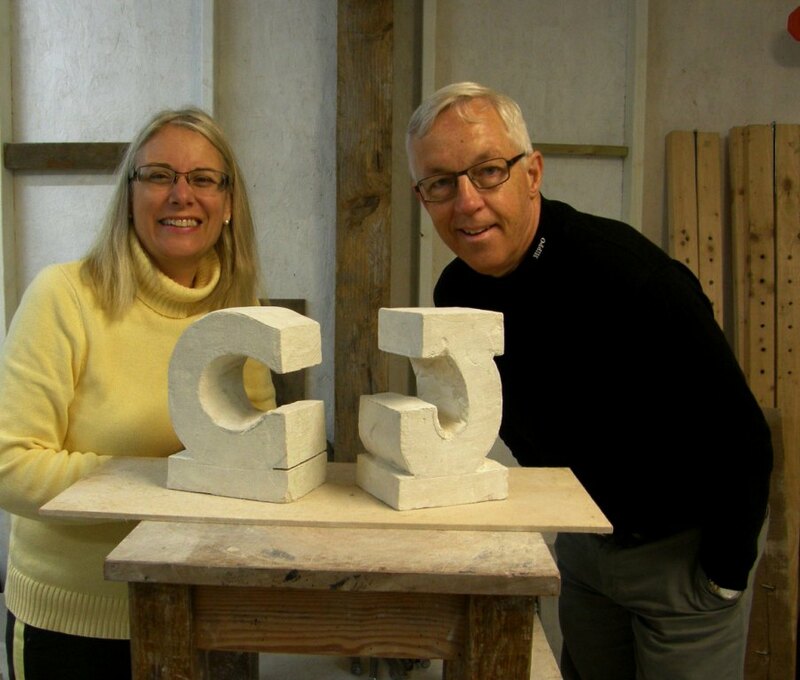 They were justifiably pleased with the progress they made in just a single day of carving in the workshop with Pete – the letter forms for the bookends are looking great, with just a bit of finishing work for Carol and Jesse to do at home. They tried out lots of tools and techniques during the day, including use of the compressed air hammer early on to get the basic shapes roughed out.